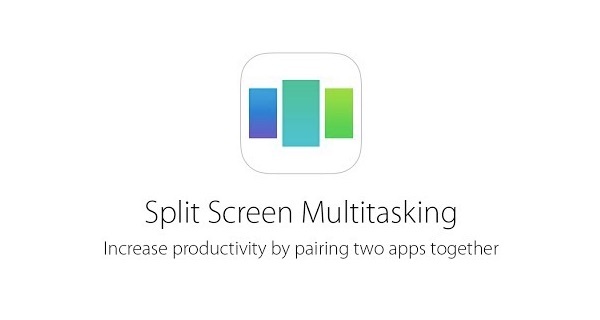 Will iOS 9 finally introduce split-screen multi-tasking on the iPad? One of the most sought after “missing” features on the iPad platform has been the ability ti use split-screen multi-tasking. Other competing tablets like the Samsung Galaxy Tab, and the Surface Pro 3 have already successfully offered this feature. One could argue whether the implementation is on point–but nonetheless, it’s an option that the iPad doesn’t offer. This summer, however, that may all finally change if you believe what M. Gurman from 9to5Mac is reporting. Gurman says that Apple is set to debut a variation of multi-tasking as early as WWDC next month. He goes on to report that they were working toward a release last summer with iOS 8, but ended up putting it on the back-burner while they diverted resources to complete work on the Apple Watch, the iPhone 6 and iPhone 6 Plus. Gurman also reports that multi-tasking should be available for iPads running iOS 9, but that the feature was ultimately intended for the new, larger sized iPad Pro. It is believed that apps that support the feature will divide the screen real-estate into variations of 1/2, 1/3 or 2/3 views depending on which apps you may be using at the time. In addition, Apple has designed the screen-sharing to work with two separate apps or the same app displaying multiple views side by side. As with all rumored features from unreleased software updates, we will just have to wait and see if Apple is able to bring versions of this rumor to fruition–if that is even their intention. Who knows, we might see split-screen multi-tasking debut as an incremental update to iOS 9 alongside the iPad Pro whenever it is released. For your viewing pleasure here is a short video recorded by Steven Troughton-Smith of OS split-screen multitasking debug gesture running in the iOS Simulator.